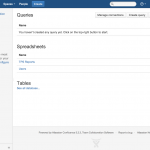 Play SQL - Play SQL 2.0: Beware of the SQL Spreadsheets ninjas! 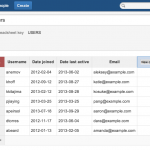 I’m happy to announce that Play SQL Spreadsheets is available. 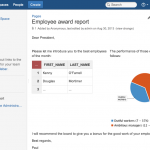 Confluence can now become a repository for your corporate data, where users can store, edit, chart and prune structured tables alongside with wiki pages. 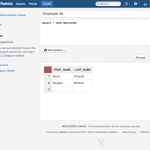 It’s the fact that you can create and edit a table from the view page of Confluence, and turn to your query editor for the calculations. See this blog post with images about the beta, and see the Getting Started guide. Because you like what I’m doing and you’d like to sponsor me! 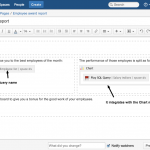 When you buy an add-on through Atlassian, there’s one year of free upgrades. So how far do you think I’m going to stretch in one year? Let’s be clear: I’ve left a comfortable just in the most awesomest start-up of the world to work full-time on this add-on, so features are going to pour in the next month. Buy the product now, and you’ll get all those upgrades for free. Up to 50% off the final price for the first few weeks: I know the first versions have a reduced set of features, so the initial price is discounted. And you’ll still benefit from the same free upgrades as everyone, so don’t wait too long! Is the SQL macro for Confluence still free? Yep! You can upgrade to 2.0 and you don’t have to enter a license key: Free features are unlocked by default! See also: Pricing and feature comparison. The snippet view of the macro displays the query name and the space of origin. Macros can be copy-pasted to other spaces. Add columns and edit their type. Text and Integer are available for the moment. 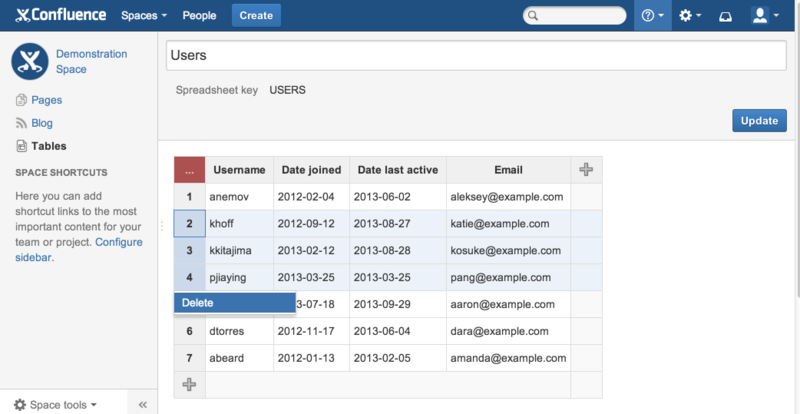 Is the name “Spreadsheet” a bit… overrated? Nope, but you don’t have to buy into it: Atlassian has a 30-days evaluation period and lets you cancel the purchase if you’re not satisfied. Sorting, filtering, formulas and calculations are not built-in yet, but you can already perform them using Play SQL Queries. 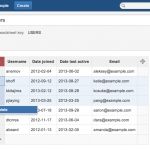 Play SQL already has more features than your classic spreadsheet tool, because it stores its data in SQL databases. What’s more? 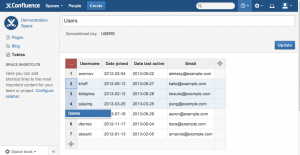 The SQL database is more interoperable and reliable than any of your legacy spreadsheets. And you can roll out any reporting tool on the data you’ve acquired: No vendor lock-in! 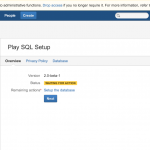 Have a look at the Known Limitations page for a full disclosure about the exact features of Play SQL. If you’re not satisfied with today’s “Spreadsheets”, what about the next releases? Is there a migration path for existing users? Yes: Nothing to do, and you don’t have to provide a license. 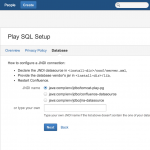 The Play SQL setup doesn’t pop up if your database connections are already defined. Connections of Play SQL 1.4.x are considered “read-only” by default. See the Setup Guide for more information about the setup. The company was created and its records are available on the Doc website.